Section II briefly reviews the evolution of the international debate on globalization, trade liberalization and their impacts on equitable development, in the context of the United Nations Development agenda as the overarching framework for development. 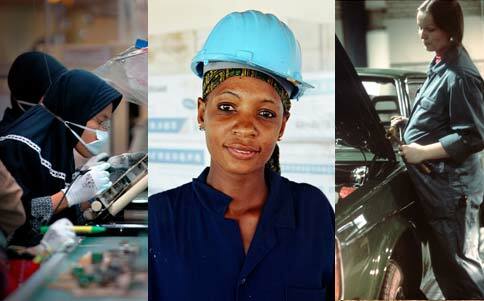 Section III dwells upon the relevance of integrating - or mainstreaming - gender perspectives in trade policy and discusses the implications of women's economic empowerment on trade and economic growth. Section IV analyzes, through a gender lens, some commonly observed impacts of international trade on labour markets and small businesses. Section V addresses the potential of labour mobility as a tool for women's empowerment in the context of international migration and international trade in services. Section VI further explains the interrelationships between trade policy and gender equality in agriculture. Section VII reflects upon the impact of the financial and economic crisis on women and presents data and examples of policies implemented by governments to address it. Section VIII reviews good practices in incorporating gender considerations in trade policy and trade agreements. Finally, Section IX presents a non-exhaustive list of actions undertaken by the UN system to support the process of making trade policy more responsive to the specific needs of women and instrumental to gender equality and women's empowerment. The Annex includes UN Resolutions, UN official documents, publications and websites on the issues addressed in the Resource Paper. * This work is an output of the Inter-agency Network on Women and Gender Equality (IANGWE). UNCTAD - as manager of the IANWGE Task Force on Gender and Trade - led and coordinated the initiative, with support from the Division for the Advancement of Women, UN Women - as manager of the IANWGE Womenwatch Task Force. Substantive inputs were received from, inter alia: the Division for the Advancement of Women (UN Women); the Economic Commission for Latin America and the Caribbean (ECLAC); the Economic and Social Commission for Asia and the Pacific (ESCAP); the Food and Agriculture Organization (FAO); the International Labour Organization (ILO); the International Organization for Migration (IOM); the United Nations Development Programme (UNDP); the United Nations Industrial Development Organization (UNIDO); and the United Nations Fund for Women (UNIFEM, UN Women).